Luvvie Ajayi who goes by the name Awesomely Luvvie went on facebook live to burn her Ivanka Trump shoes she found during her closet clear out. She has never worn these shoes since she got them, but the fact that Trump was sworn into presidency whom she was clearly against infiltrated her. See the video below! Awesomely Luvvies is a best selling author and blogger with over 200,000 facebook likes and 70k instagram followers who writes about her views her way. You can follow her on Instagram or check out her website. UK Nigerian, Worldwide Trump-ing on hate! 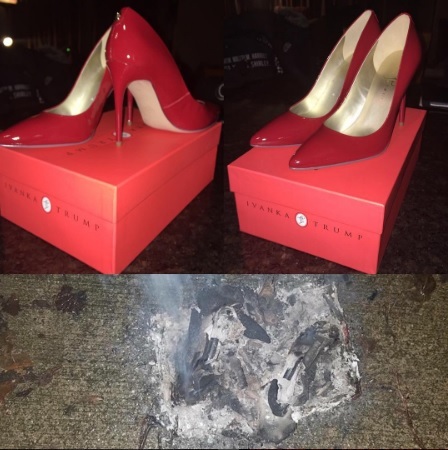 Popular Nigerian American blogger burns her Ivanka Trump shoes in protest Bookmark the permalink.